Wilkins 34-350 3/4" Double Check Backflow Preventer. Double Check Valve Assemblies prevent reverse flow of used or dirty water from entering back into the water supply. Back siphonage can occur from time to time and this Double Check Valve is designed to avoid that completely. 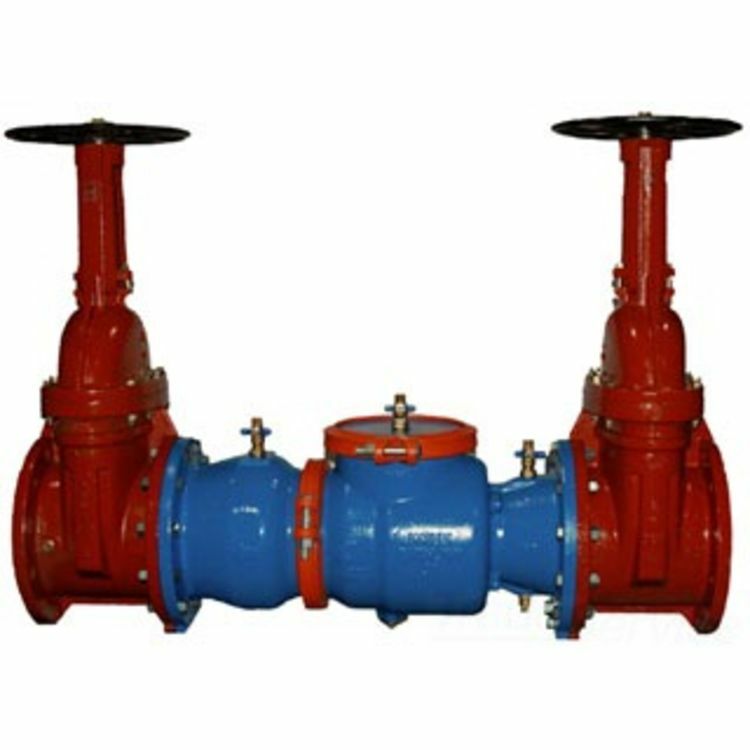 The DCV has a heavy duty cast iron body, check valve disc, and a plastic check valve seat. Assembly with a Double Check Valve can provide protection where a potential health hazard does not exist.